Lion has announced a new agreement with the Victoria Racing Club, extending the longstanding association between the two organisations. 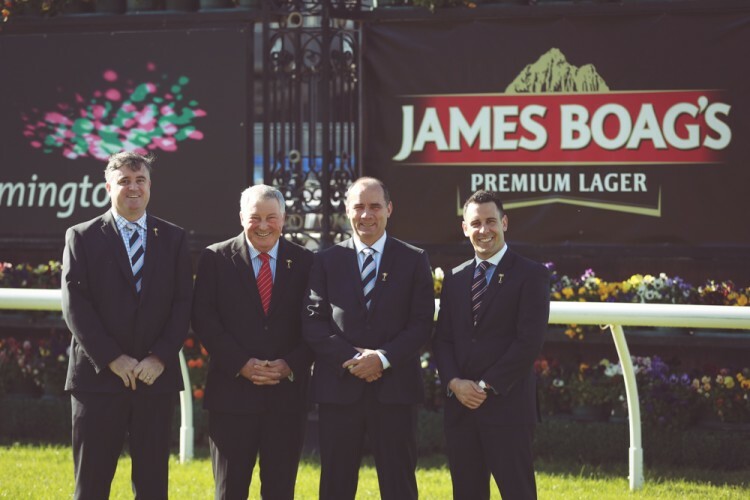 The new sponsorship agreement through the James Boag’s Premium brand begins with this year’s Melbourne Cup Carnival and includes naming rights of the race following the Emirates Melbourne Cup – the James Boag’s Premium Stakes. Also as part of the new agreement James Boag’s Premium will offer racegoers the first permanent brand experience area on the Flemington front lawn, the James Boag’s Premium Celebration Deck. With spectacular views of the winning post, the James Boag’s Celebration Deck provides racegoers with entertainment across all four days and the opportunity to be upgraded to the new luxury VIP area. Lion managing director James Brindley said: “Lion is proud to be continuing its 13-year association with the VRC as one of only four major partners, which will support our continued investment in Australian premier horseracing. VRC Acting Chief Executive Julian Sullivan praised the partnership with Lion. “The ongoing success of the Melbourne Cup Carnival is dependent on the support of our corporate partners, and we are extremely pleased to extend this relationship. “The new James Boag’s Premium Celebration Deck is open to all racegoers and is a testament to our collaborative and productive partnership,” said Sullivan. James Boag’s Premium is also a major partner of the Australian Turf Club and the Magic Millions, making it a true partner to premier Australian horse racing.